On August 12 -13, 2016, at the Silverstein Eye Centers Arena in Independence, Missour, Mission of Mercy will hold its fifth free dental clinic. 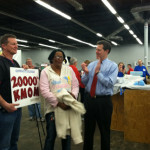 They hope to serve close to 2,000 patients while providing in excess of $1 million in free care. 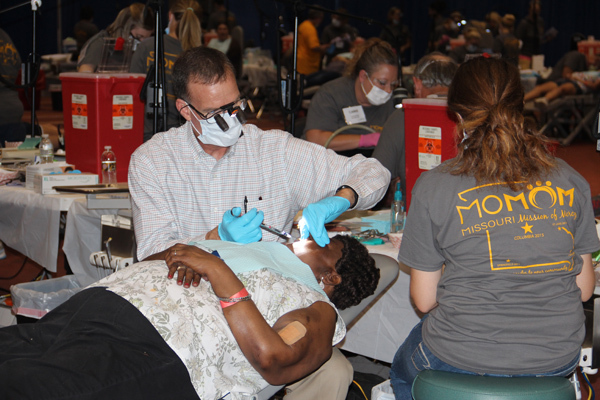 The Missouri Mission of Mercy (MOMOM) is more than a free dental clinic. It’s tangible help. It’s giving at its best. That is why I love working on this grand scale inspirational project. Collectively we accomplish something together that we could never do alone. MOMOM is an intersection of three communities. Allow me to unpack this just a bit in pictures and words. Let’s start with the target audience – the underserved, the impoverished, the uninsured. Thousands suffer from poor hygiene and other dental issues but have no money or access to find help. 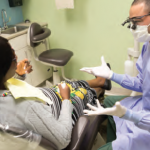 This is who we wish to serve with a charitable gift of skilled dental care. The setting for a two day mobile dental clinic is unique. 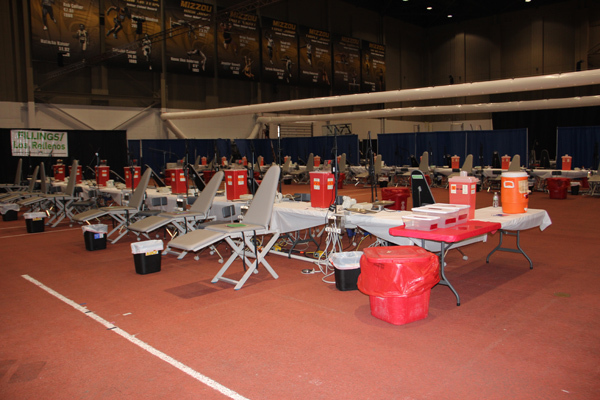 100 dental chairs are the centerpiece but there are complex auxiliary arrangements from x-ray, supplies, and lab set up to registering and feeding 1,000 volunteers for two days. We work hard to make sure the setting is pleasant, safe, and welcoming to our guests. We want to provide relief from pain and restore smiles. To accomplish this we need a strong host community. 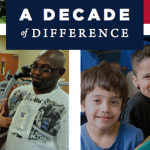 The volunteer dentists and community volunteers on the leadership committee show their commitment to serve their neighbor in need by raising money, recruiting others, and planning the event over several months. MOMOM is an expensive undertaking. It’s always stirring to see local businesses and organizations provide financial and in-kind donations to make the clinic possible. Health ForwardGKC is one example of generosity as they provided a substantial grant to help fulfill their mission right here in their backyard. We are privileged to partner with them and grateful for their support. However, all the planning and local support are for naught if we don’t have the support and engagement of the dental community. Dentistry is a professional skill that takes graduate level education and much practice to master. It’s also something that everyone needs. Dentists love to share their talent to help others. Thankfully it’s one of the few health care disciplines that can be conducted on a large scale in a mobile setting. More than 200 dentists will happily volunteer their time and pay their own expenses to participate in MOMOM. But it goes beyond the dentist. The entire dental community – hygienists, assistants, staff, students, vendors, faculty, etc. rally around their common love for the profession to make MOMOM a reality. All the logos and egos are left behind and unity around serving others is on display. It’s rewarding to watch and heartwarming to hear what our patient guests say about their experience. 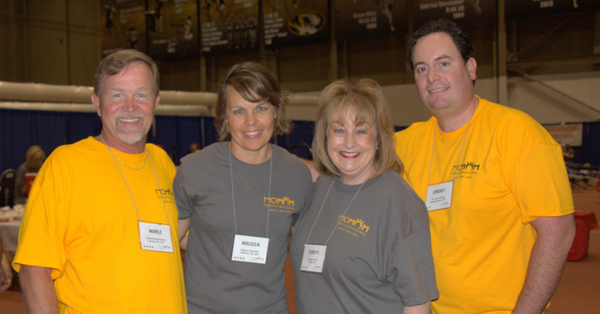 For all these reasons, MOMOM is the premier program of the Missouri Dental Association Foundation. On August 12 -13, 2016, at the Silverstein Eye Centers Arena in Independence, we will hold our fifth clinic and once again we hope to serve close to 2,000 patients while providing in excess of $1 million in free care to our neighbors in need. This is what happens when communities work together. Interested in attending? Visit the links for more information about the free dental clinic this weekend. Is this open to both Missouri and Kansas residents?? Thx!! Hi, Dee! Thanks for your question. This event is NOT exclusive to Missouri residents. The dental clinic is open to everyone, regardless of residence. They work on a first come, first served basis. 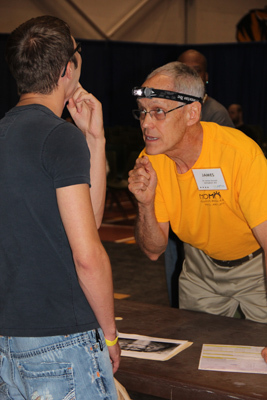 If you would like more information, here’s an FAQ page for patients: http://www.modental.org/about-us/mda-foundation/missouri-mission-of-mercy/patient-faq.